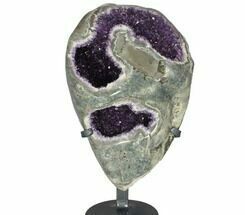 Words can barely describe how beautiful this specimen is in person. 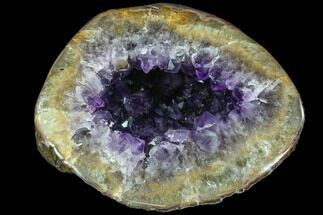 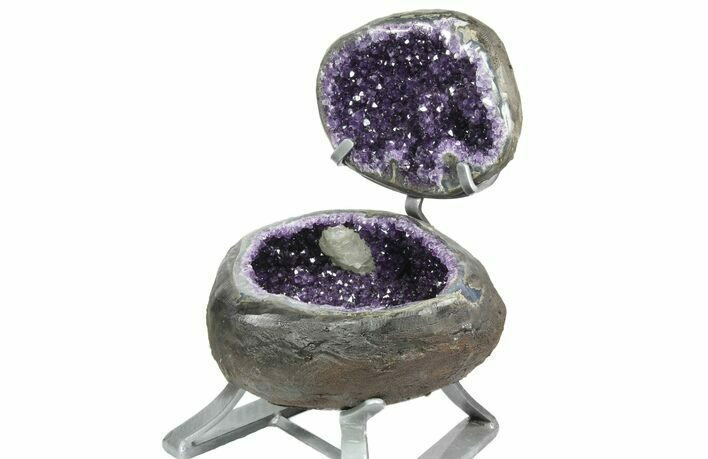 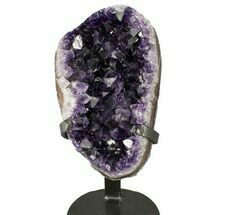 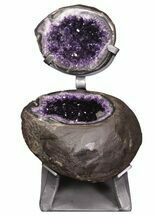 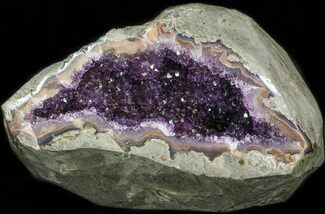 It is a dark purple amethyst geode from Artigas, Uruguay which has been cut open, polished, and mounted on a stand allowing both halves to be displayed. 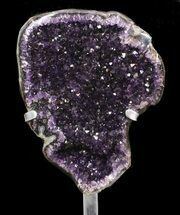 The amethyst crystals are about as nice as they come, undamaged with a gorgeous dark purple coloration.